VANCOUVER - Uber is asking a British Columbia court to throw out a lawsuit filed by four Vancouver-based taxi companies that are attempting to block the ride-sharing service from launching in the city. 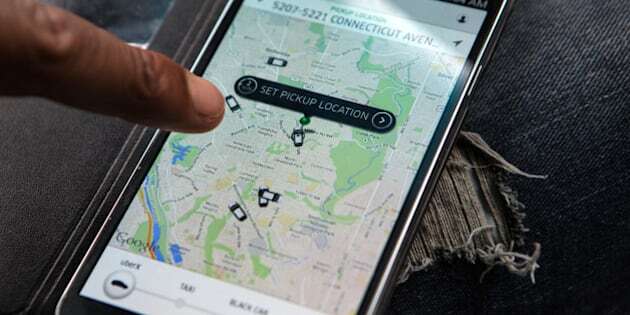 The taxi companies applied for an injunction in November amid rumours that Uber was about to launch its controversial Uber X service, which allows riders to use a smartphone app to connect with private drivers. The companies' lawsuit alleged Uber was planning to launch in violation of local bylaws and provincial taxi regulations, which they claimed would give Uber an unfair competitive advantage while putting passengers at risk. In response, Uber filed its own application this week, asking the court to throw out the taxi industry's case. Uber's application says taxi companies have no authority to enforce municipal or provincial regulations, and it dismisses the lawsuit as little more than an attempt by the taxi industry to protect its monopoly. "For over 50 years, they (the taxi companies) have operated as a cartel seeking to stifle any form of competition or innovation in the commercial transportation industry," says Uber's application, which was filed in B.C. Supreme Court on Tuesday. Uber's application says the lawsuit is speculative, since it has not actually launched Uber X in Vancouver. The company has not confirmed when, or even if, it plans to operate in the city, though it has been actively recruiting drivers and office staff. Unlike Uber's traditional taxi service, which helps users hail licensed cabs, Uber X allows anyone with a vehicle to apply to become a driver. That has prompted warnings from the taxi industry, governments and regulators that Uber X would endanger passengers by putting them in the hands of unregulated drivers. Uber has repeatedly argued it should not be forced to follow taxi regulations because it is a technology company, not a taxi service. The taxi companies' lawsuit also argued passengers would be confused into thinking Uber X cars comply with taxi regulations. Uber, however, suggests its alleged reputation for flouting the rules would ensure no one is confused. "The (taxi companies') notice of claim pleads everywhere that Uber has 'openly' refused to comply with these same (regulatory) schemes," says Uber's court application. "Therefore, on the plaintiff's own allegations, it is plain and obvious that the public will not be misled as plaintiffs suggest." Uber has expanded Uber X into several Canadian cities in recent months, though the company's refusal to apply for taxi licences has prompted officials in those jurisdictions to declare the service illegal. City officials in Toronto filed an application for a court injunction late last year, while drivers in Ottawa were fined after a sting operation that saw bylaw officers pose as passengers. In B.C., the province's transportation minister announced hefty fines for unlicensed cabs and also promised undercover operations to catch Uber drivers. Uber operated its black-car service in Vancouver for about six months in 2012, but the company withdrew from B.C. after the provincial transportation regulator imposed a minimum fare of $75 per trip. An official from Uber met with staff from B.C. 's transportation ministry in September, according to a Nov. 18 briefing note for the transportation minister obtained through a freedom of information request. But Uber's Chris Schafer did not reveal anything about the company's plans other than to say Uber would launch immediately if one of its competitors, such as Lyft, began operating, the briefing note says. Taxi associations in Vancouver and Victoria claim Uber has already hired at least 800 drivers, according to the briefing note. Uber has also faced legal challenges or outright bans in France, Germany, China, South Korea, India, and several American cities and states.